Welcome to ABS Products, Inc.
ABS Products, Inc. is a New Jersey company specializing in giftware and home decor for the resort and general gift markets. Our focus is putting artwork, which can be fully custom customized, of your city or town on a wide range of products. New items are added each year to offer you a greater variety of design and decor for your customers; this season we are excited to introduce wine bags, greeting cards, and several new wooden sign options. With 20 years in the gift industry, the Strauss brothers are committed to variety, quality and excellent customer service. We make art happen! My customers cannot get enough of these awesome glass cutting boards! Come See our 2019 collections! Please note that all custom designs that we create for you can be printed on any products we offer. 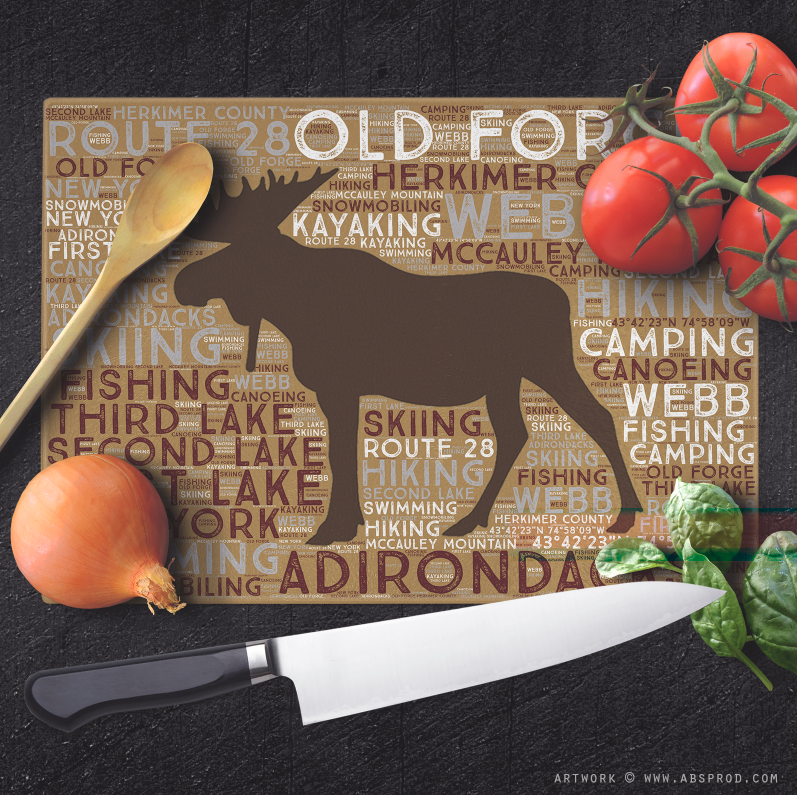 For example, if you like the All Wood Grindstone Island design style shown on the slate coaster below, that image can be put onto a cutting board, a magnet, or even canvas. Production of most items are done in house; all artwork is created by American artists. Custom designs must be approved by you prior to production. 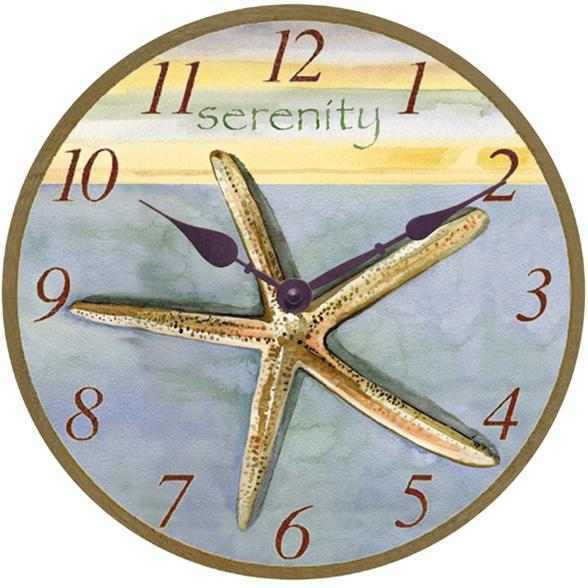 Our beautiful art clocks are made from either wood or glass. 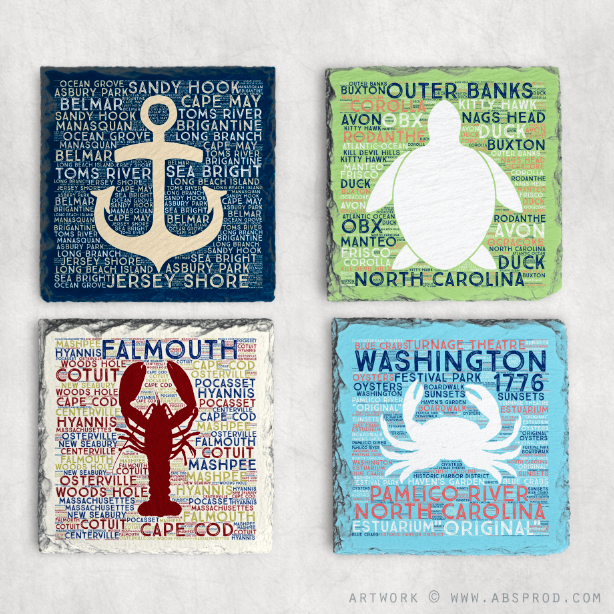 We use bright, colorful artwork with themes such as beach chairs, flip flops, lighthouses, surfboards, and sea life.